There's a few more weeks left of the most wonderful time of the year!! Who's already in party mode?! One of my favorite things about Christmas is that there are ENDLESS reasons to throw a good party. Everyone is in the celebrating mood, so there's also endless parties to go to! I. Love. It. And planning my outfits for the festivities is a huge part of the fun!! I don't know about you, but it's hard not to spend all of my money on Black Friday deals for cute clothes instead of presents for the family. Soooo in light of my selfish spending problems (and maybe yours too) I decided to help out my fellow ladies by creating some looks for this season that won't break your bank but will help you look your best at any event you attend. 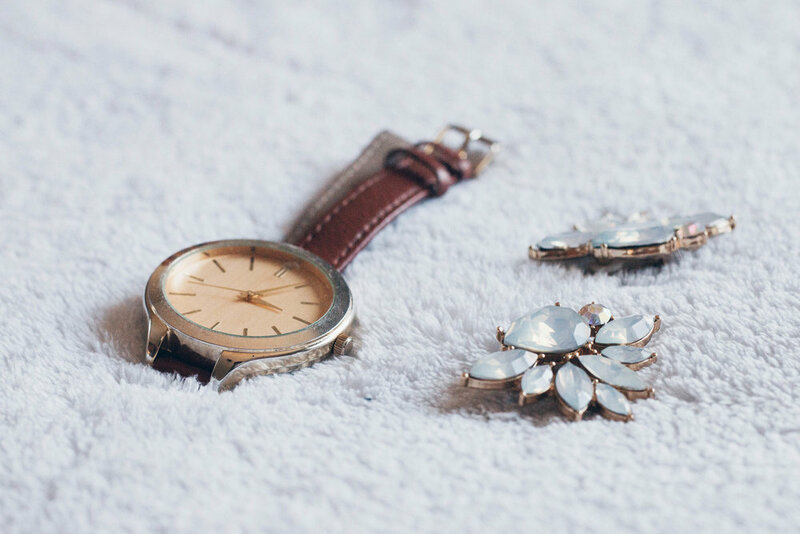 From family outings to work parties, I hope this blog post will help you choose those signature pieces to shop for or inspire you to step out of your comfort zone and try something new with what you wear! Let's get started shall we? This outfit is a fav of mine! It's the edgy-yet-classy look that I so enjoy discovering in my closet. In my family, it often feels like a zoo when we all get together (although, the Zoo Lights this time of year are quite a magical experience if you're looking for good ideas:)), so I like to wear the leather jacket to establish dominance and the converse for comfort if you end up walking a lot for your outing. You'll still impress grandma with that oh-so-glam silk slitted top and pencil skirt, while still feeling like yourself. Top it off with some statement earrings and you're ready to conquer any crazy reunion. It's time for the annual ugly sweater party: but you have the same sweater from last year.... What's the solution? Goodwill. Always. just picked up this bad boy from the local Arc in Colorado Springs, and I'm seriously considering wearing it to work. I know what you're thinking, and I don't care. If you feel like you can't say hi to me if you see me wearing it, I understand. If you're not this risky, Target has a ton of really hilarious christmas sweaters to choose from! My genius tip this year to make you stand out? Tuck that sweater into a super cute skirt and match your nail color to the top! It'll give you flare on top of flare. So really it's a win-win. If you're in a creative mood, why not make your own ugly sweater?! That way, you have control over if it's ugly or just flashy. It's extremely cheap to do, and if you're hosting it's a great party activity! Just buy an array of gold sequins or big red bows and stick them on a sweater you already have. Easy-Peasy Lemon-Sqeezy. This may be the most popular form of party during the holidays: the one that requires you to bring something: cookies, an ornament, a white elephant gift, the list goes on. I always get tied between dressing up or dressing down for these events, so how about a little in-between? 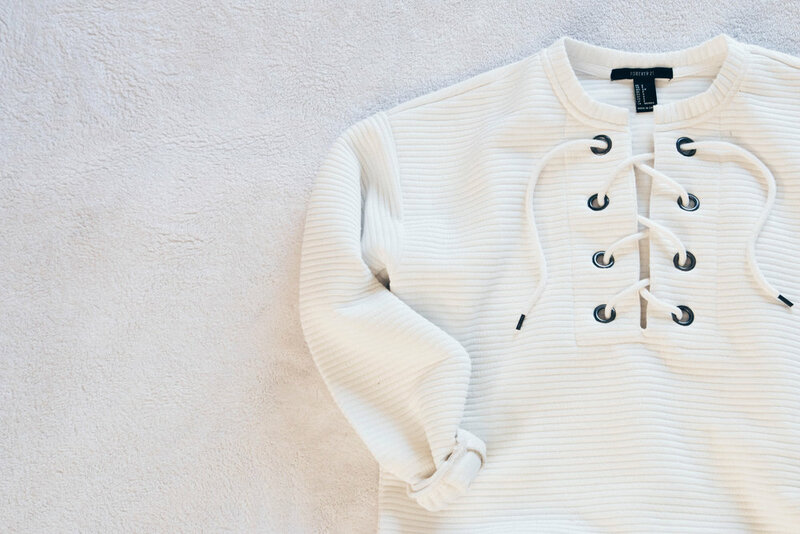 Lace-up sweaters are so hot right now. I like this one slightly tucked into my Levi's with heels to make it feel formal and some bangles for extra spice! Cuz it's LADIES NIGGGHT! YAS! I LOVE holiday themed girls outings, where you can be as loud as you want at the restaurant and strut around like you own the streets in a big fur coat because of the extra estrogen feeding you feminine confidence. 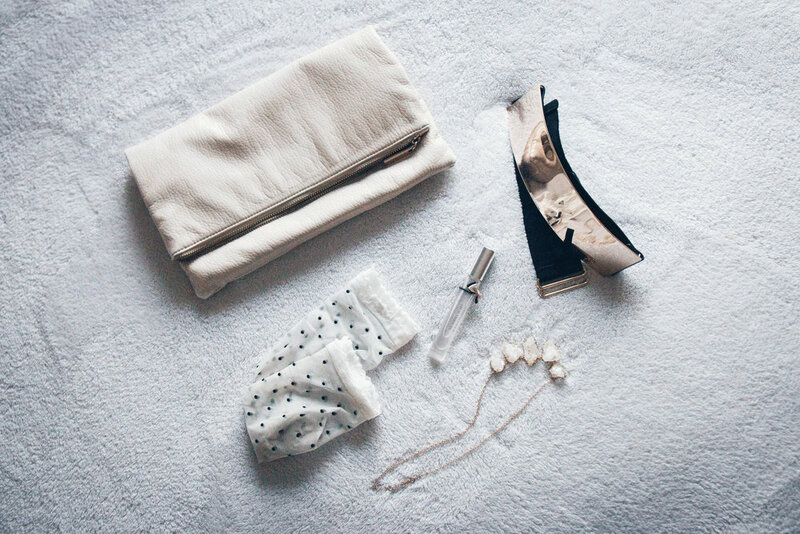 Instead of doing the usual all-black outfit, try a snowy-white dress with pastel-colored accessories! 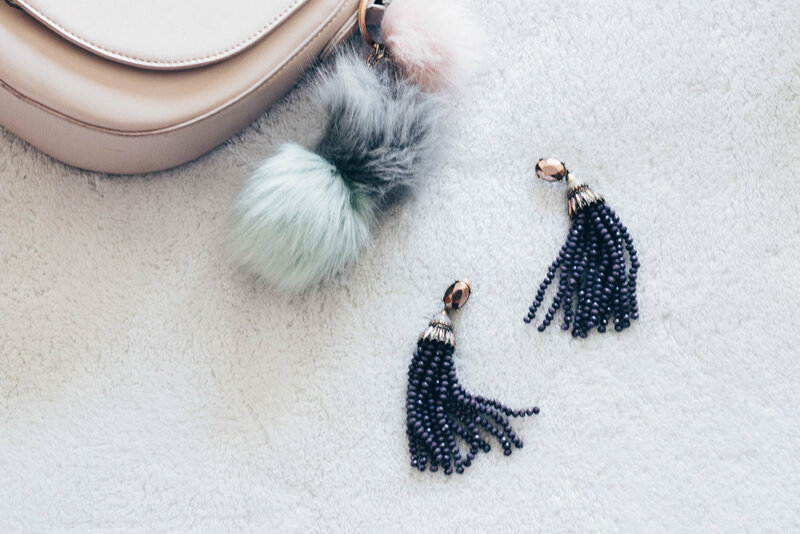 These dangly earrings are my go-to this season. Fur is the color of this winter's energy. What is it about fur that makes me feel like I can do anything?! 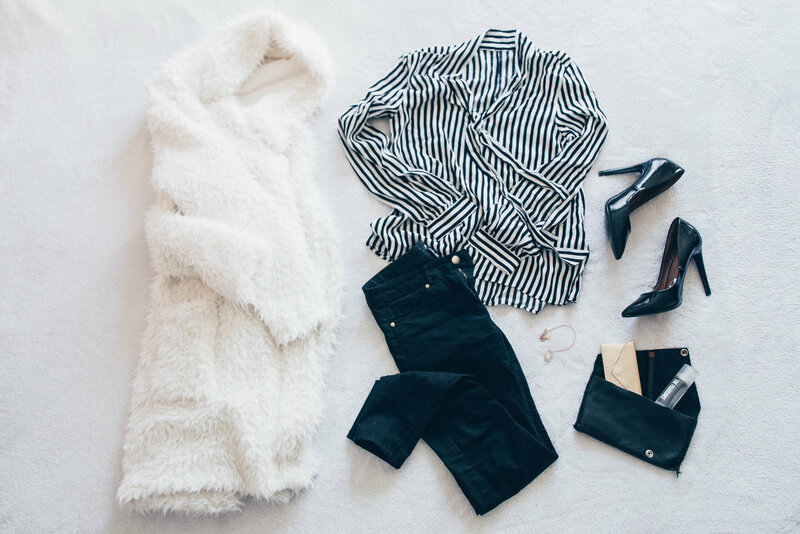 Try out a white fur with a striped top and shiny-pointed heels. 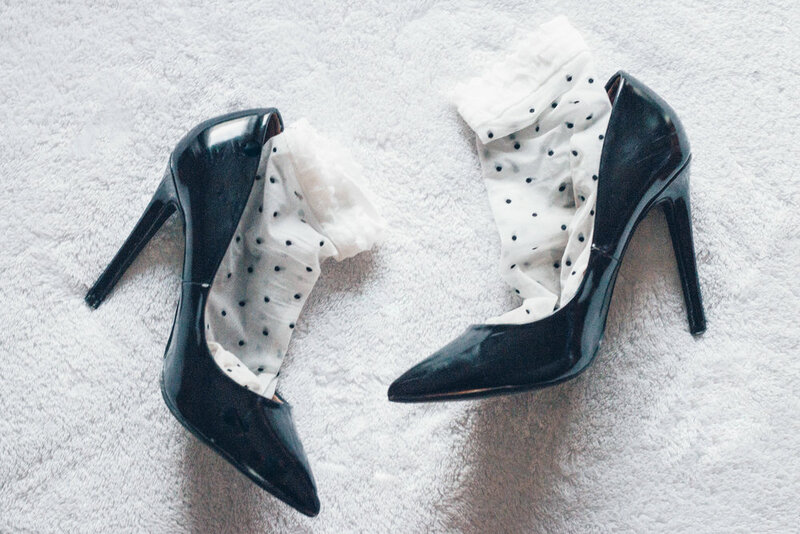 I know, it's a tad Cruella De Ville, but who doesn't love feeling like a Disney character! Finally, some RED!!! I don't like to get too cheesy with the christmas colors, but this skirt is really everything. It pops out like a cupcake and has pockets to hold your dark lipstick! I love how this skirt looks French-style, with a black hat, striped shirt and choker. I love wearing this one to honestly any occasion I can think of (I can't really wear this skirt on any given day you know..) that's a more fancier one. To the Broadmoor for a drink or the annual friend's Black Tie party, this outfit is the gift that keeps on giving. Ok if you're going to go with the all-black, here's a few tips to spice it up. Leopard coat, sheer socks with heels, or a platinum gold belt are what I paired with my simple black dress. If you work for a company that likes to celebrate, you're gonna want an outfit like this one! It's a classic-feeling winter-friendly comfortable ensemble. The cashmere scarf over the long white lab coat with jeans makes me feel like I can be a professional in front of my boss, yet stay stylish for myself ;) And the shiny tassled shoes will increase your ability to be a sleuth. (Just kidding, they just remind me of something I think Sherlock Holmes would wear). The scent Burberry Brit goes on my christmas list almost every year because it's one of my favorite scents, and it pairs well with this classy look. 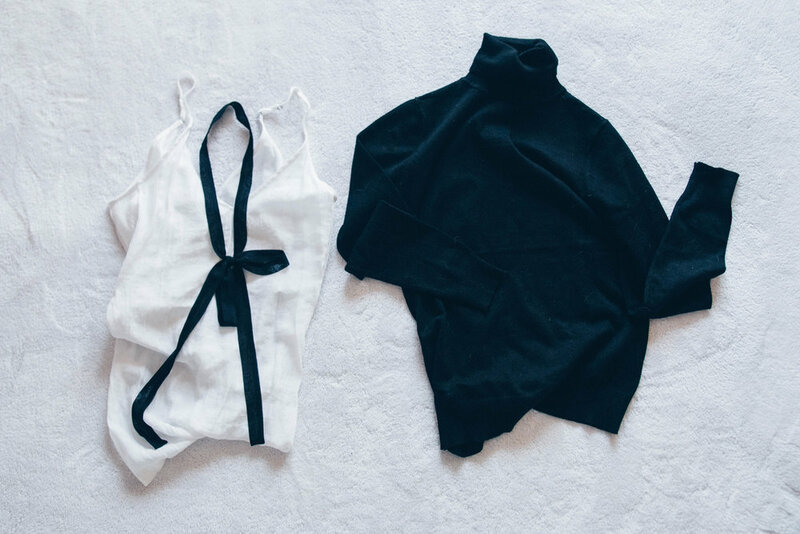 Depending on how you're feeling, you can choose a silky black tie over a white top or a black turtleneck to complete the outfit. Hopefully you enjoy this list of outfits and feel like you have some great options for the different festivities this year!! I didn't include any links in this post, but if you're wanting to know where to get any piece you like from this post just email me through the contact page!